Earlier this spring a careless landowner in Southampton County filled in a path that ran through a swamp adjacent to the Nottoway River, a Virginia “Scenic” River. 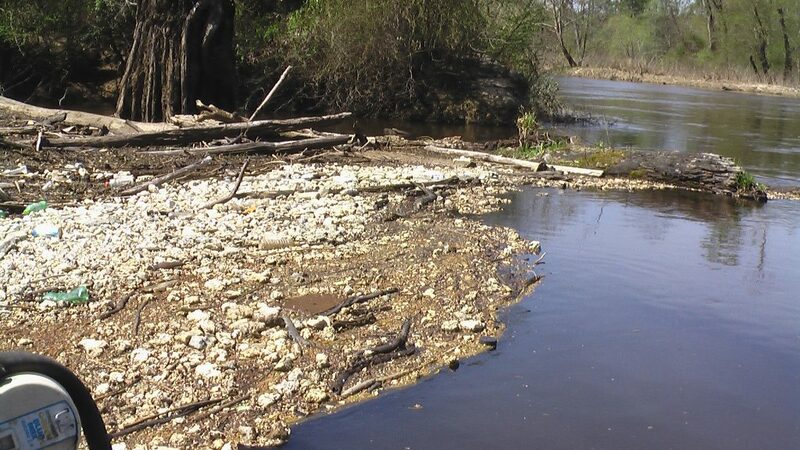 The fill was brick and concrete that was inundated with Styrofoam insulation that originated from the demolition of a hog slaughtering/meat packing plant.The next high water event washed hundreds of pounds of Styrofoam out of that swamp into the river. This was repeated several times. Hundreds of pounds of Styrofoam is a LOT of material. As Riverkeeper for the Blackwater and Nottoway Rivers, I spent days on the river picking up what I could. The sad thing is how much could not be retrieved creating an apocalyptic crisis for the wildlife on the river. Its no telling how many critters died from ingesting this material. I’m usually so overjoyed at being on the river and doing what I can to protect it, but I must say those weeks were bout the saddest times I have ever been on the water.